Capture full-length photos with the new Magic Mirror. 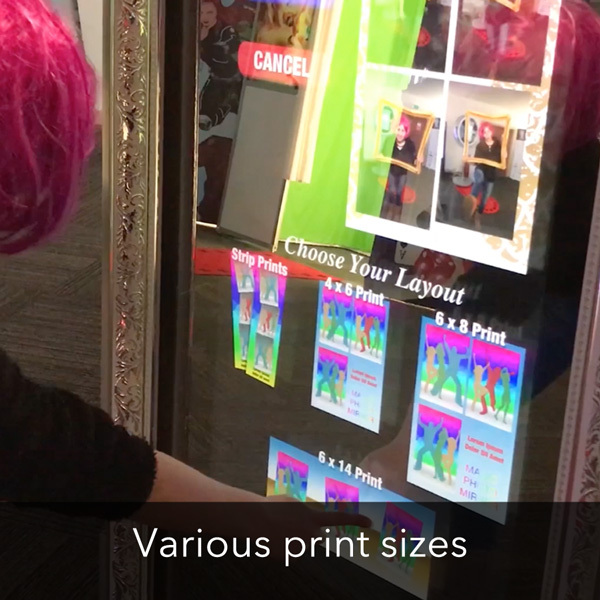 Touch the screen, strike a pose, and print your photos. Glossy prints are printed in less than 10 seconds. 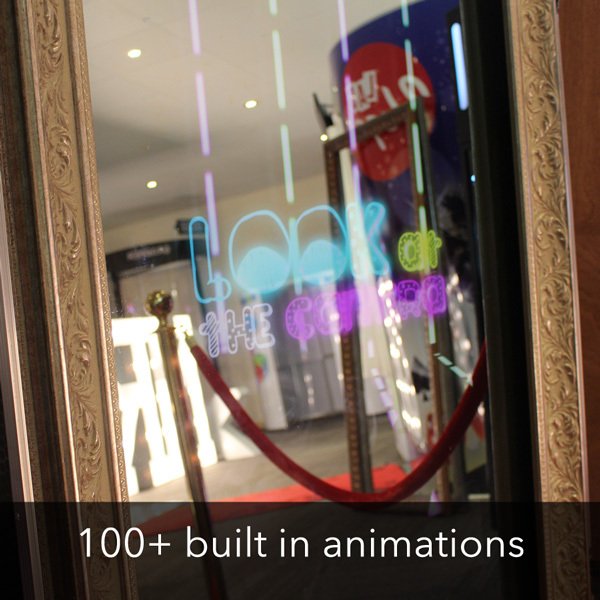 The Magic Mirror comes with over 100 different animations. From animals to 3d writing, there are plenty of animations for you to choose from. 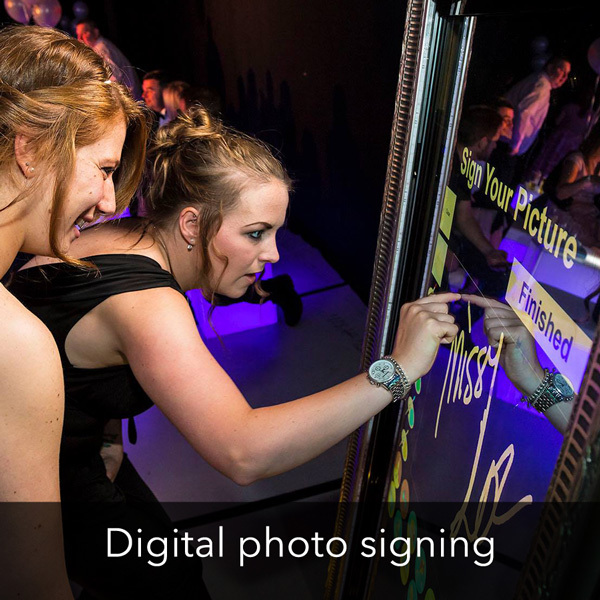 Guests can personalise their prints using the on screen digital paint pad. A selection of emoji stamps are also available to apply onto photos. 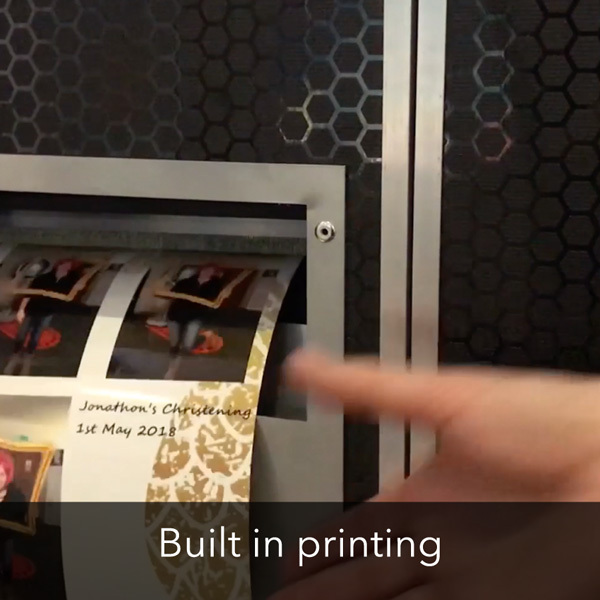 Printers are stored safely inside the Mirror and photos drop into a photo catcher. This keeps the printer safe at all times. Guests can pose infront of a green screen backdrop and change the background on screen. Use pre loaded backgrounds or upload your own. 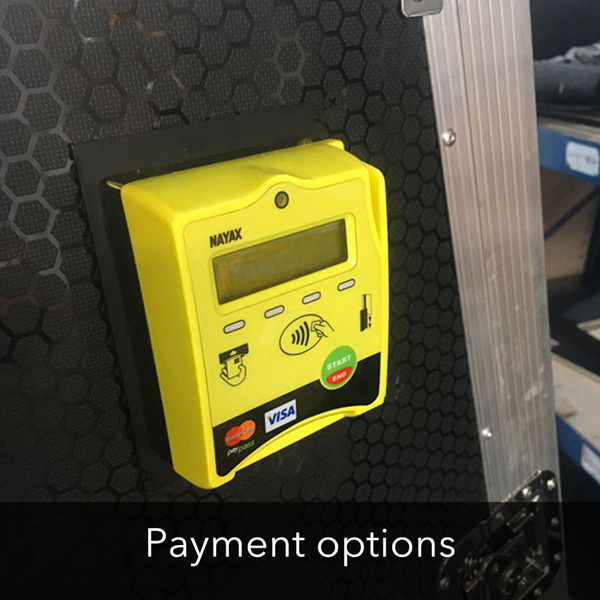 Install coin / cash / card acceptors as an optional extra to select Magic Mirrors.